Vehicle security is not always thought of as a priority until it's too late. We at AZ Locksmith can help and take care of your complete van security system and equipment before any unexpected break-ins and loss of equipment occurs. For all commercial vehicles, a safety system needs to go beyond the basic van security system installed in vehicles. If you regularly carry more than one high-tech apparatus or expensive machinery, you need to go beyond basic alarm systems and invest in quality van security products. To ensure there is no theft to your vehicle and expensive equipment. 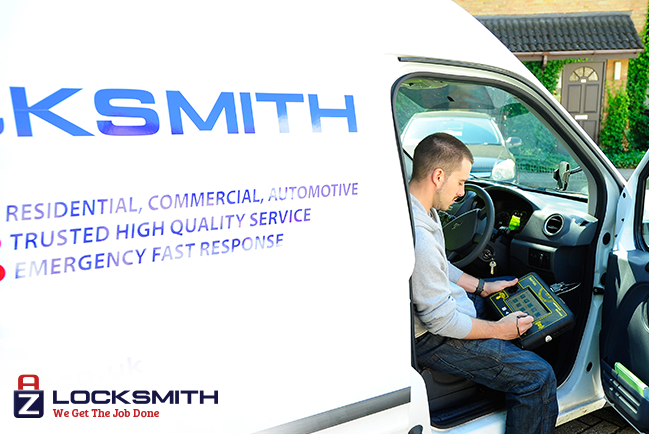 Even if you are not leaving any equipment in the van, we understand that the van is part of your work. Adding security to the vehicle will make you feel safe that the van and your valuable equipment are secure. What’s included in a van security system? Our customer care is committed to our clientele and make sure the work is completed to a high standard. We are on duty 24/7/365 and offer emergency services to ensure that you will have support whenever you need. We also guarantee our work through a warranty. For any further information or to schedule an appointment, please contact us today! All of these above cargo van security locks and systems can be installed by AZ Locksmith technicians at a competitive price. Our locksmiths can best determine with your input of choosing the right security system for your needs. We carry all the required tools crucial for any installation in order to provide the quickest and efficient service at your location.